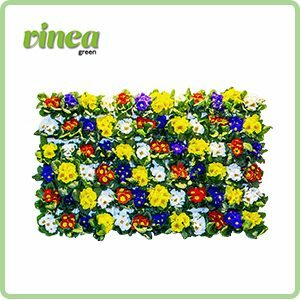 A Living wall is also known as a green wall or vertical garden. 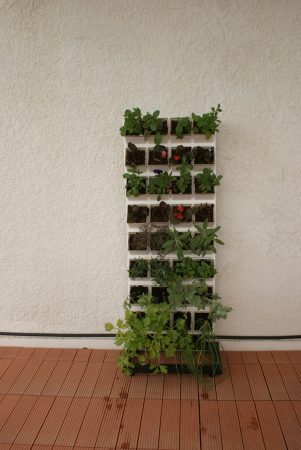 Living walls allows you to grow plants on vertical surfaces. 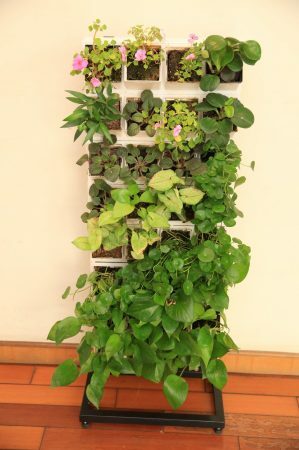 The plants in the Living walls are planted in different kinds of containers that hang vertically on a wall, on a railing or on a rack. 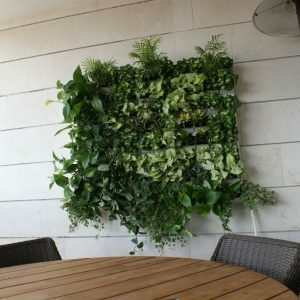 How o plant and maintain a Living walls? 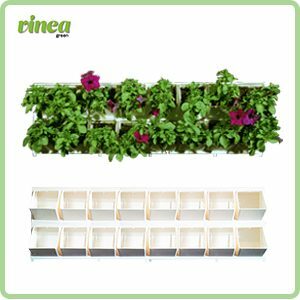 It depends on the type of containers you choose: there are pockets, pipes are planted, walls can be built alone, and there are specially designed systems for such a garden. 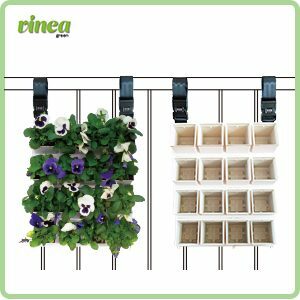 Vinea green’s designated systems come with all the necessary parts for mounting and hanging containers of any number you choose, including irrigation for the entire system from one point only, without dripping and flooding. 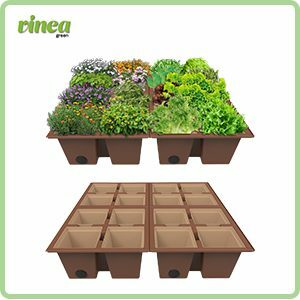 After you have chosen the location (do not forget exposure to light and sunlight) and the type of containers remains only fill them in the soil, choose seedlings, watered regularly and enjoy abundant green growth. 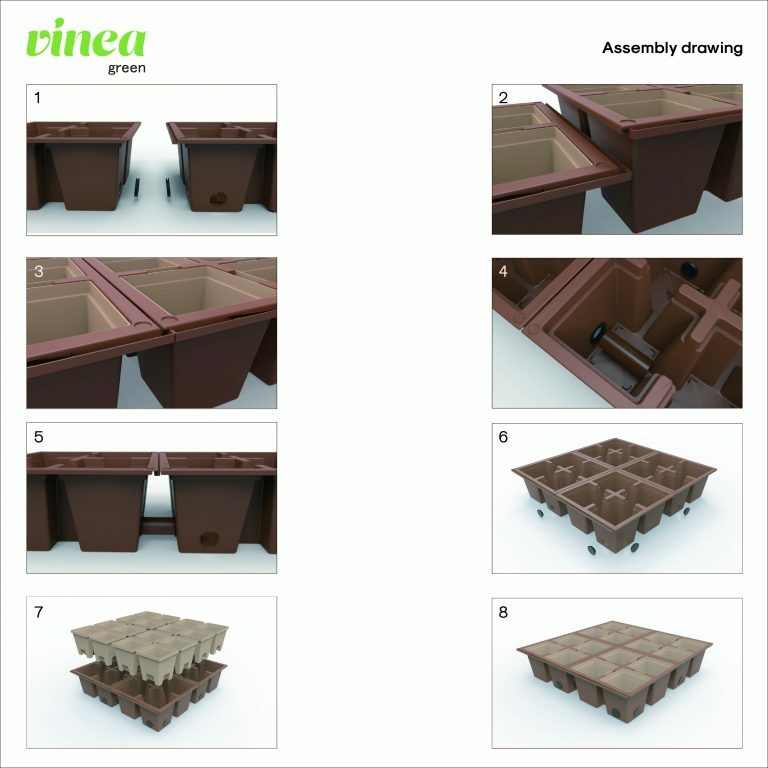 Vinea green also has hydroponic systems in which plants grow without a bedding, but only with water and fertilizer. 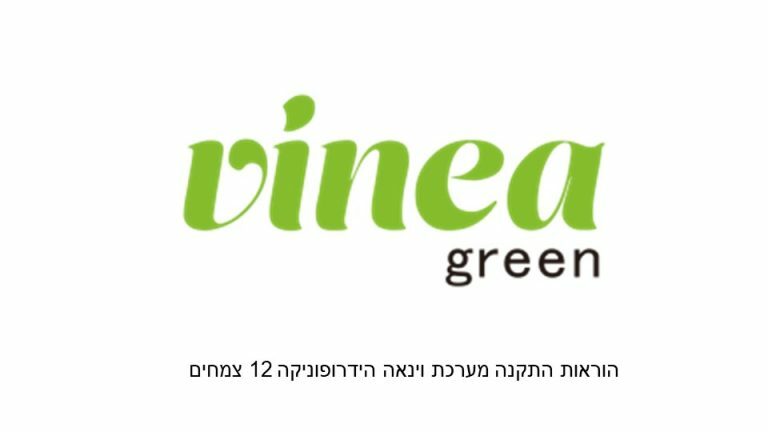 What products does Vinea green have? 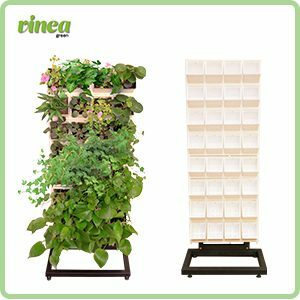 How to build a Living walls system of Vinea green? This is a modular system of vertical assembly plants. 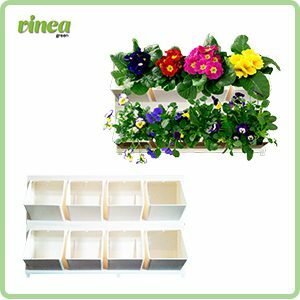 Each basic unit consists of four 9 by 9 cm pots, and the total size of the basic unit is 12.5 x 40 cm. You can connect some basic units that want width or height depending on the design you want. Each system, of any size, receives irrigation from only one point. Can be irrigated with an irrigation computer or manually. 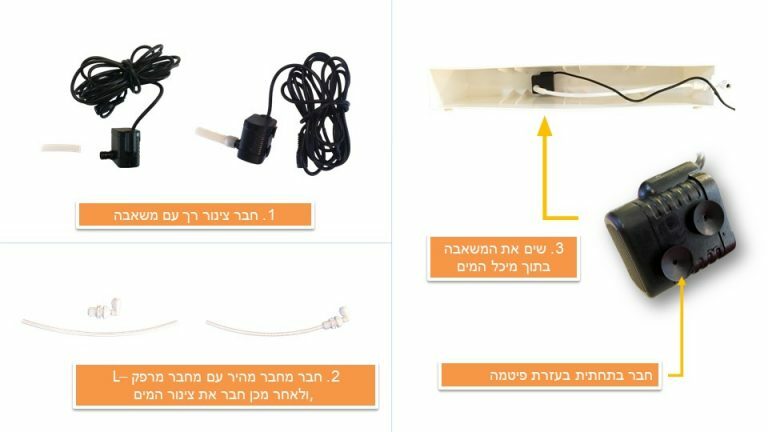 In the case of irrigation with a computer the system drains all excess water from one point only. An independent stand (not connected to a wall) cames with 8 basic units thet is 32 pots. 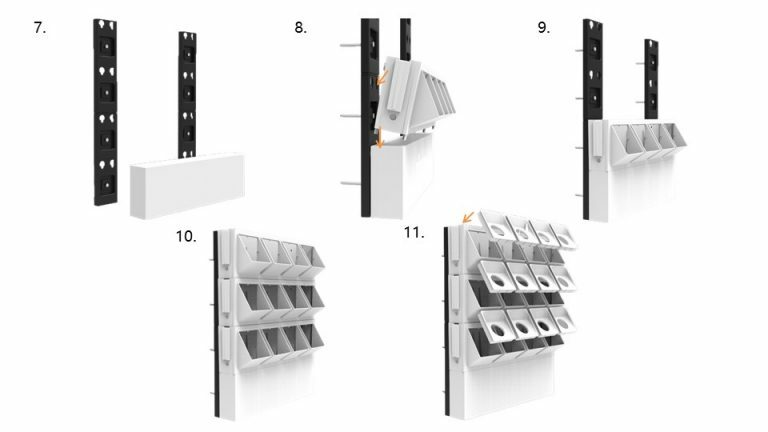 The Living rack is suitable for cases where it is impossible to drill walls, exhibitions,to hide a spaces and more. 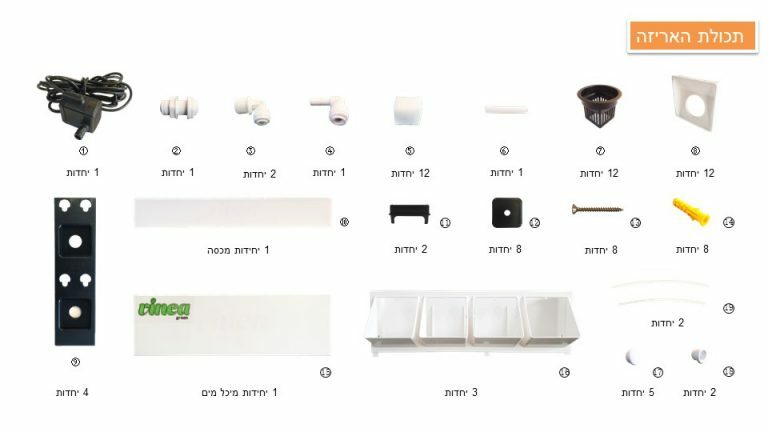 The system comes with all the parts needed to assemble the stand. How to install Living rack? Each unit comes with all necessary mounting elements. Simply mark with a leveler, drill in accordance with the holes in the mounting bars and attach the bars with the screws. Even if you missed a little – there’s nothing to worry about. Special connectors will allow you to mount the mounting strips straight. 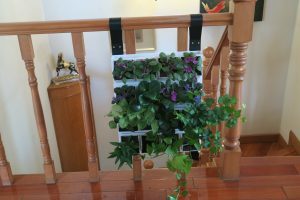 Another version of the system is adapted for hanging from handrails with special strips and durable. How does Living surface system is build? 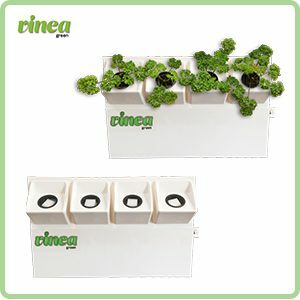 This is a modular system of pots for mounting on surfaces – for example on the balcony, the roof, the entrance to the building and more – wherever you want to create green space with minimal effort. The system is built from basic units of 4 pots each. The size of each pot is 17 by 17 cm and the total size of the basic unit is 40 by 40 by 18 cm. The units can be connected according to the size of the surface you want to cover. How to install Living surface? Or irrigation by flooding from one point. Drainage is done from one point. The drain can be closed so as to avoid dripping (if the system is inside the house) and save water. What Is The Hydroponics wall? 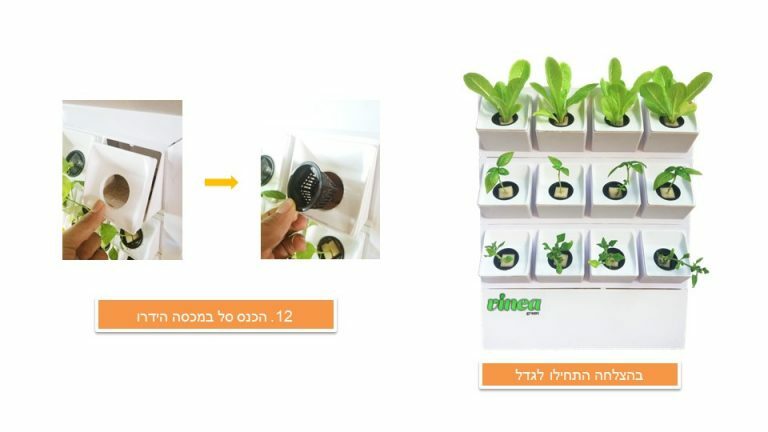 A system for growing plants without soil only in water and fertilizer. 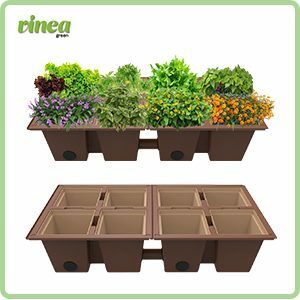 The system is especially suitable for growing vegetables for food and spices. 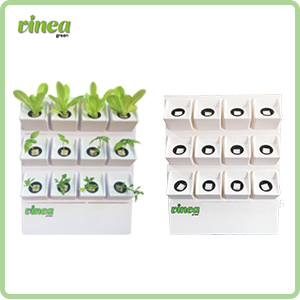 This is because in the hydroponic approach the plant grows more rapidly than in the soil and suffers much less from pests. 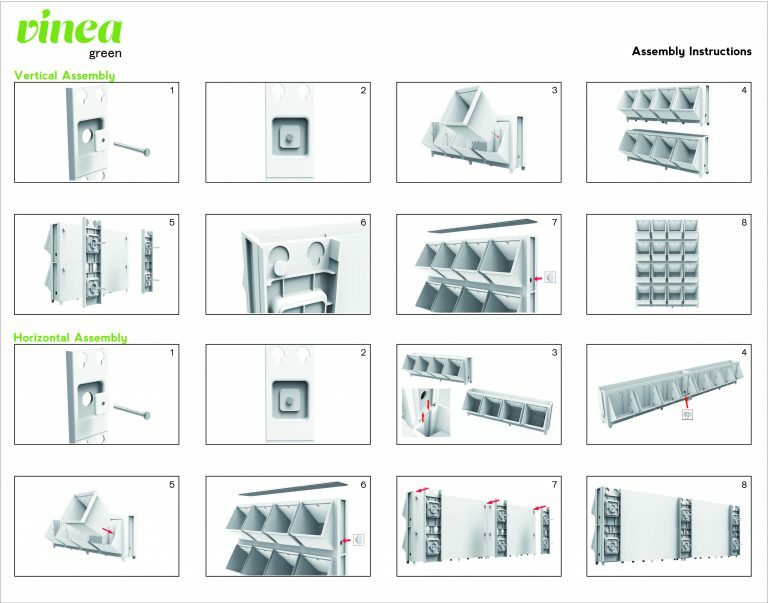 Hydroponic wall: modular system . 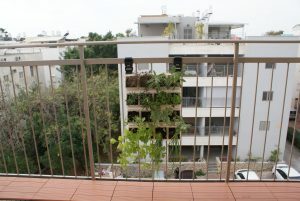 Each basic unit consists of 4 potted plants. The basic unit size is 12.5 by 40 cm. The small systems also includes a water tank, pump and piping. Installation: Each unit comes with dedicated mounting bars. The pump must be connected to an electrical point. Irrigation and Fertilizing: are done manually in the small systems. 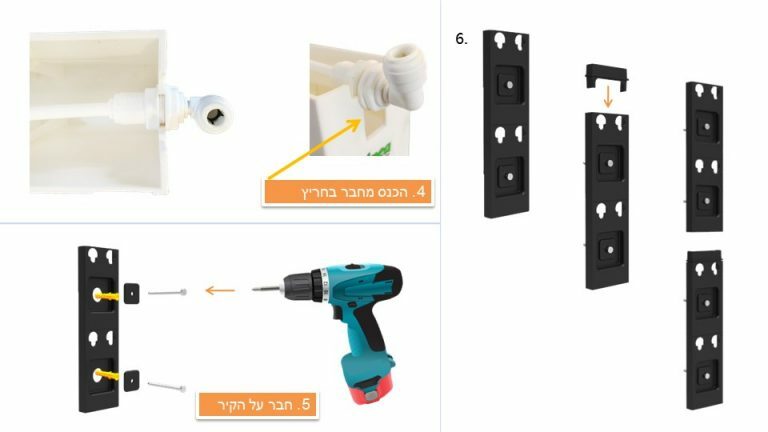 How do you install Hydroponic walls?